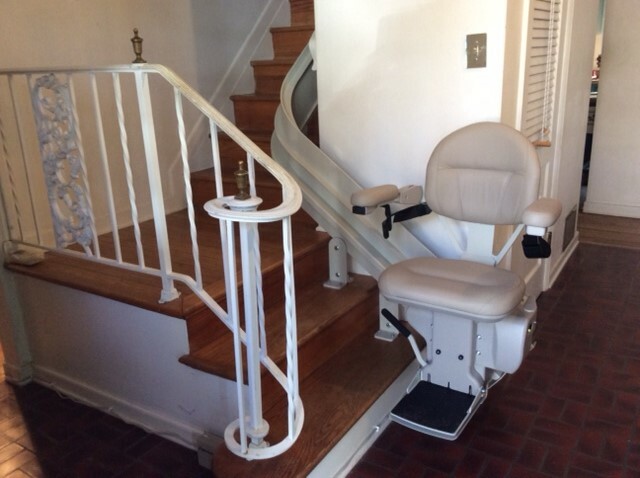 If your staircase is curved, or if there are multiple levels with landings in between, we can create a custom stair lift to fit your unique needs. The Bruno CRE-2010, shown here, is perfect for any configuration, in any home. 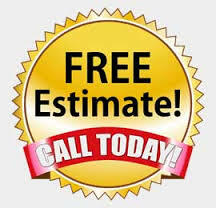 Call us for a free evaluation. 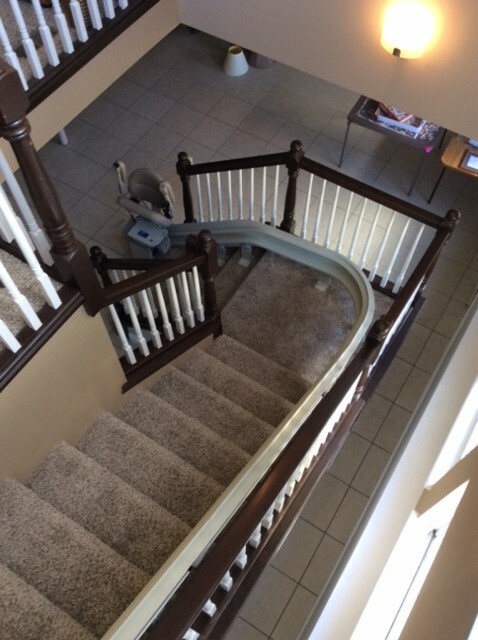 Our certified installer will come to your home, take some measurements, and let you know exactly what your stair lift will cost. These pictures show the 400 lbs. 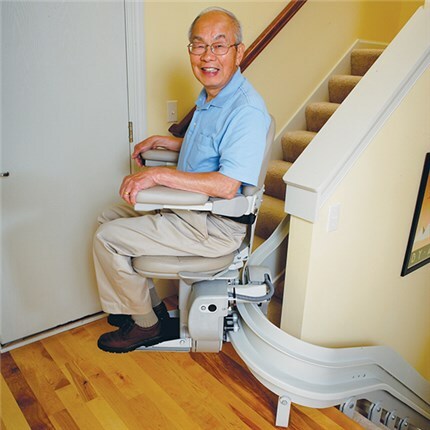 capacity and a 90 degree turn.